Plant the seed and increase green initiatives by supporting bike ridership with sustainable bike racks. 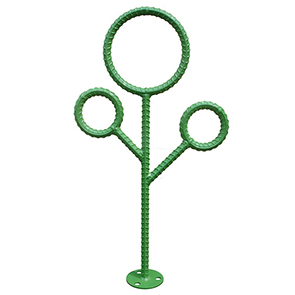 The Recycled Tree Rack features a fun, memorable and textured design which is constructed with #8 rebar recycled materials. The highly secure and durable Tree Rack is finished in either a galvanized or powder-coating, protecting against the elements and high volume usage. 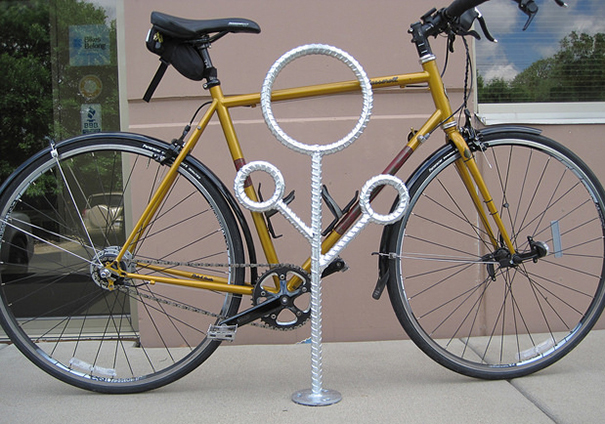 Instantly add landscape art and bike parking with the environmentally friendly Recycled Tree Bike Rack and complementing Circle Rack.